A few weeks ago I read an article on the Christianity Today website about a married couple who went to the former Soviet Union to adopt two boys. In this story, they recount the intense eerie nature of the orphanage. Despite the orphanage being full of infants, the place was deathly quiet. Both of us compared the stillness with the buzz and punctuated squeals that came from our church nursery back home. Here, if we listened carefully enough, we could hear babies rocking themselves back and forth, the crib slats gently bumping against the walls. These children did not cry, because infants eventually learn to stop crying if no one ever responds to their calls for food, for comfort, for love. No one ever responded to these children. So they stopped. The couple spent multiple days in the orphanage, getting to know the two boys they hoped to adopt. And with all the quality and loving time spent with them, they still remained silent. And this is where the story gets interesting. And that’s when we heard the scream. 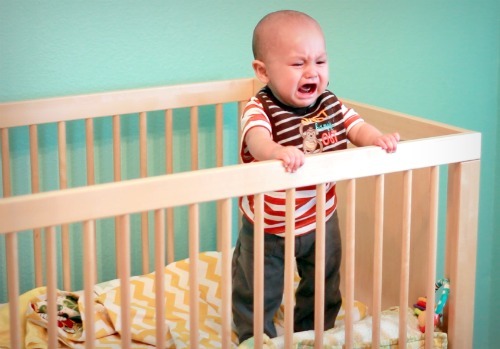 Little Maxim fell back in his crib and let out a guttural yell. It seemed he knew, maybe for the first time, that he would be heard. On some primal level, he knew he had a father and mother now. I will never forget how the hairs on my arms stood up as I heard the yell. I was struck, maybe for the first time, by the force of the Abba cry passages in the New Testament, ones I had memorized in Vacation Bible School. And I was surprised by how little I had gotten it until now. This story resonates with me. If I could pick one buzz word to describe how I’ve felt the past couple months, it would be “over-overwhelmed”. My job has been enormously taxing. My wife works evenings so on many nights when I come home from work I have to go into single parent mode. And when the kids go to bed, I have no mental energy left to deal with the 12 college credits I’m taking this semester. It’s a strange feeling, because I love every iron in the proverbial fire. I love my job, I love school; I can think of no one else I’d rather spend time with than my two boys. It’s just all a little too much. I often miss my wife and the things we have a passion to do together, like ministry, gets put on the back burner. And it’s all done under a debilitating financial strain that never seems to resolve. That part is the worst. I don’t like the word “can’t” and will always find a way to fix a problem. But I don’t have anything left. I don’t have it in me to run any faster or fight any harder. When Paul says to “be anxious for nothing,” it makes me want to build a time machine so I can go back and give him a boot to the face. But I realized that I’m just like Maxim in the story above. I stopped crying. I rationalized with myself that it would be arrogant of me to bring my grievances to God since the world is full of billions of people that are way worse off than I am. I figured that God would think of me as ungrateful since he has clearly enriched my life with so much. So I went stoic and told everyone, including God and myself that I was fine. But I was only telling a half-truth, because the truth is there are many aspects of my life that are just amazing. My two sons are an indescribable magic that can not be shadowed by any other gift this side of eternity. My relationship with my wife is storybook worthy. My job is purposeful and fulfilling. And my view of Jesus and the Gospel has never been so big, so exciting, and so wonderful. I am a seriously rich man. But to fail to see the dichotomy in life that includes the wonderful and horrifying, the freeing and debilitating, the beautiful and grotesque is where I’m getting it wrong. To put it in simpler terms, it would be ridiculous of me of not acknowledge the pain of a deep paper cut even if the rest of my body feels good. Just take a look at King David in the Old Testament. Side note: For the record, I have a love/hate relationship with David. The guy had more wives and girlfriends than he knew what to with and I’m sure none of them would keep their legs crossed at the request of a king. And yet he goes and takes another man’s wife. David wouldn’t last five minutes in today’s age with one wife and Victoria’s Secret commercials on every channel. Stupid jerk. But there is a lot we can learn from David’s psalms. David was the king of one of the most flourishing kingdoms in the ancient near east. He was rich and powerful beyond our wildest dreams. And he was antiquity’s very first emo. David, a man after God’s own heart, praised him endlessly for all the good things in life. For all of his paper cuts, he whined to God like a little girl who just found out her parents ate all her Halloween candy. Which, by the way, if you think playing pranks on kids and making them cry is funny, you should watch this video at the end of this blog – but not until after you’re done reading. So this week, I took David’s method to heart. I wrote God a letter and told him everything I was feeling. I didn’t hold back any emotion or thought, no matter how ridiculous or illogical it was. I even swore a few times because it portrayed exactly what I was feeling. Besides, if God truly knows my innermost thoughts and intents, nothing I said even remotely surprised him. And when I was finished, if God ever spoke to me, I’m sure this is what he said, “‘Bout time you shared yo beef, boo”. God sometimes speaks to me in Ebonics instead of King James. But in all seriousness, when I thought I was finished, I wrote down more. I started to write about the many times where God pulled me out of jams that were too fine-tuned to be coincidence. I wrote about how I’ve never, ever, ever been forsaken by him. I wrote that there were at least one-hundred other times where I’ve felt this same faith-shaking, God-doubting anxiety and with every occurrence, God provided. Every time. Every stinking time. This is my daily prayer right now, and I’m not ashamed of it. I’m now convinced that neediness is a virtue. I am the emo King David and the little Maxim that is screaming in his crib for his Daddy. What benevolent father would have it any other way? Okay NOW you can watch the funny video.